Hate having tons of papers piled up on your teachers desk? 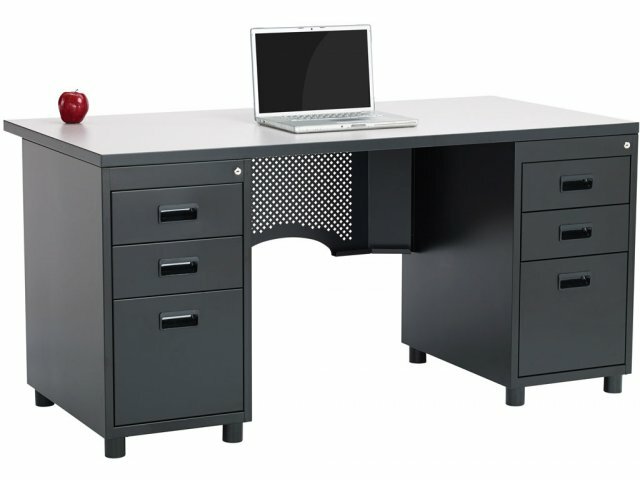 The Nate Double Pedestal Desk has tons of storage space so you will never have to. 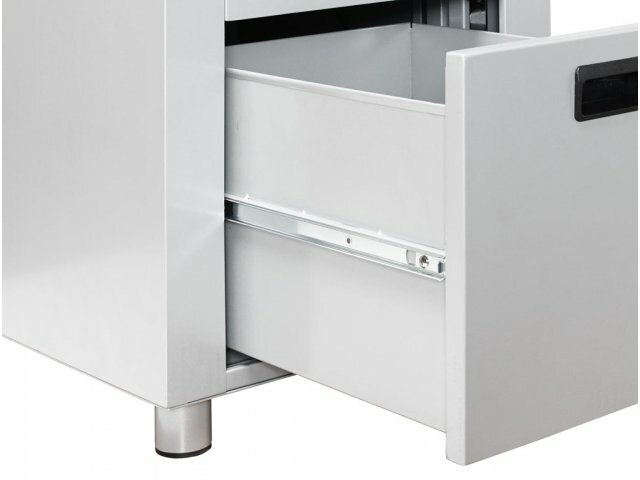 With two locking pedestals featuring two box drawers and one file drawer each, there is plenty of room for unmarked tests, worksheets, extra pencils, markers, staplers and more. 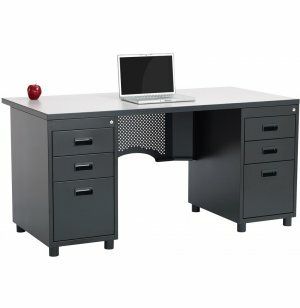 This contemporary-style teachers desk will fit in perfectly with your modern flexible classroom furniture. Its subtle current design is executed through a durable build that is meant for the rigors of a bustling learning space. The high-pressure laminate top resists scratches and stains while durable high-gauge steel legs provide sturdy support. If you are looking for a teacher desk that will really give educators the all-star treatment, the Nate is an excellent option. Convenient Storage: Four roomy box drawers provide an accessible space for supplies.